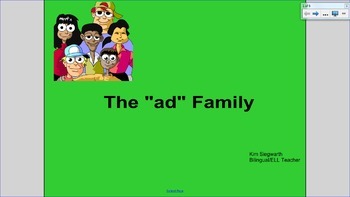 This interactive whiteboard lesson provides multiple activities to do with students regarding the "ad" word family. 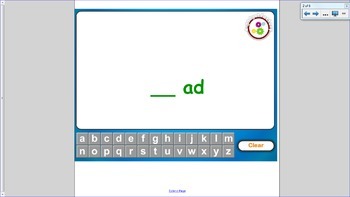 There are magnetic letters to create words and several games to play also. The culminating activity is creating a poem using all of the words that rhyme.